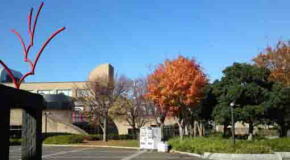 Chiba Museum Of Science And Industry is located on the southern side fo Nikke Colton Plaza, so it is on the south front of Orihime Jinja Shrine. 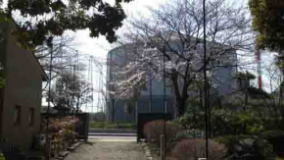 You could find a silver cylindrical building with a three-cornered hat, that is Chiba Museum Of Science And Industry. 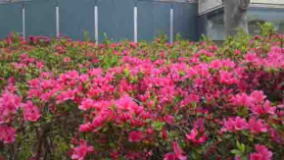 There are a lot of trees and seasonal flowers in the site of the museum, many azalea trees are planted on its northern side. In spring, they simultaneously bloom together, they look like pink carpets under the sky. 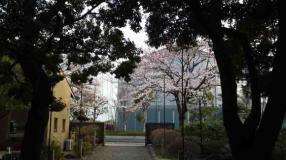 And on the both side of the path to Media Park Ichikawa, there are seasonal flowers blooming beautifully and smell sweet. Chiba Museum Of Science And Industry gives us a lot of knowledge of modern science, high technology in industrial fields and wonderful experiences at the whole site. Everybody could enjoy to visit the museum and walk around it. As a result of the spectacular progress of science and technology, industry have developed phenomenally and our living conditions have improved greatly. The science and technology that supports these industries are becoming ever more vital, and while their direct impact on human society is increasing, at the same time, they have become complicated and difficult to understand. Chiba Museum Of Science And Industry was established for the purpose of providing a place where all people, from children to adults, could experience and learn about the science and technology applied in industry. The museum has 6 blocks, History Of Industry, Welcome To High tech, Experimental Plaza, Library, Hands-On-Room/Training Room and Workshop, for visitors to learn and study science, technology and industry. Chiba Museum Of Science And Industry has a great accessibility from both Narita and Haneda International Airport. From Narita International Airport, take Keisei-line and get off Onigoe Sta, take minimally 40 minutes from Narita Airport. And also take JR Sobu-express line, transfer the line at Funabashi to Sobu-Local line, get off Shimousa-Nakayama or Motoyawata Sta. From Haneda International Airport, take Keikyu-line bound to Narita, and get off Onigoe Sta. From Tokyo Sta, take Sobu-Express line bound to Chiba or Narita, transfer the line to Sobu-Local line bound to Chiba, Tsudanuma, or Nishi-Funabashi at Ichikawa Sta, get off Motoyawata or Shimousa-Nakayama Sta. From Akihabara Sta, take Sobu line bound to Chiba, get off Motoyawata or Shimousa-Nakayama Sta. 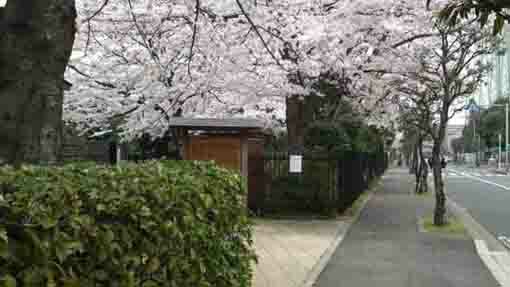 Take 1 minute walk from Keisei-Nakayama Sta, and take 5 minutes walk from Shimousa-Nakayama Sta. Nikke Colton Plaza is covered with much green trees and beautiful flowers, every season, you could find something new and wonderful in nature there. Orihime Jinaja Shirine is a branch shrine for Ise Jingu Shrine (Naigu), so Orihime Jinja Shrine dedicates Amaterasu Omikami. Everybody from children to adults could enjoy experiencing and learning about science and technology applying in industry. 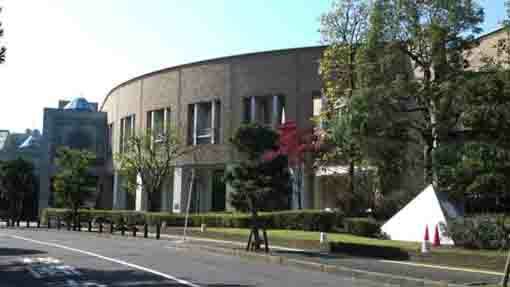 Media park has the central library, kids library, museum of literature in Ichikawa and writers lived in Ichikawa and so on. It is good space to know Ichikawa City. In the residential district, there is a small and deserted park, it is called the Park Of Onitaka Remains excavated some remains there. 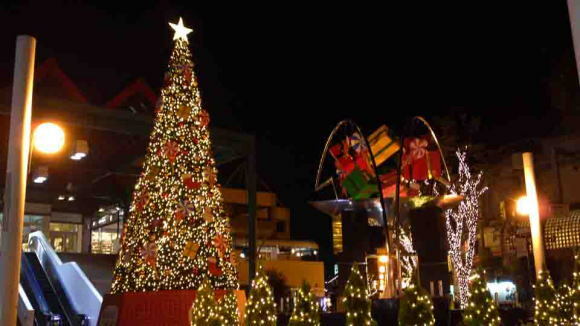 Nikke Colton Plaza is a shopping mall with some shops, restaurants, cafe, movie theatres, gym, shrine garden and so on.